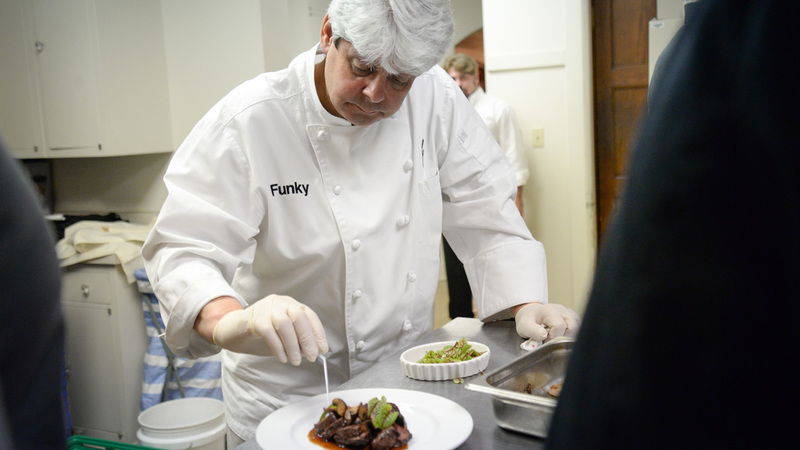 Funky’s Catering began in 2004 under the experienced eye of Michael “Funky” Forgus. With his 30+ years of restaurant and fine dining experience, he transitioned to the special event industry hoping to change the landscape of catering in Cincinnati. We believe that breaking bread with someone is about so much more than the bread. We were the first in the city to exclusively offer private tastings. These have been a key factor in our success, because it is during these dedicated one-on-one times that we get to know our clients and they get to know us. In 2010, we began to see a shift in the needs of our clients. 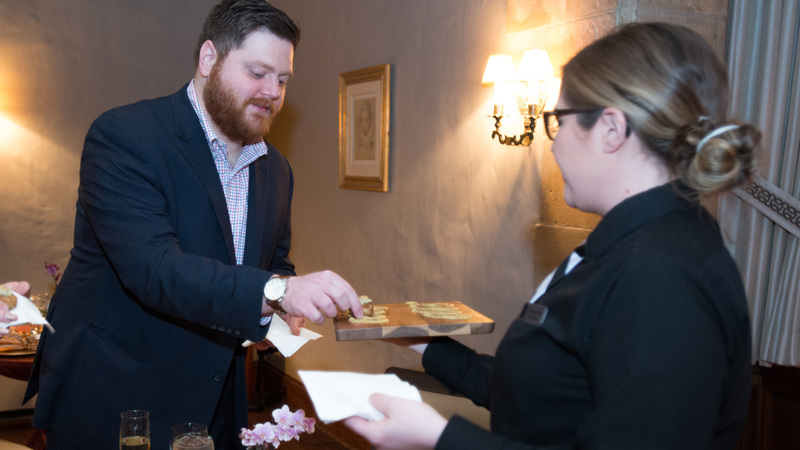 As a result, we gave our on-site food and beverage managers (whom we call event managers) more opportunity to showcase their expertise and decision-making skills. They meet with our clients weeks prior to their event, write a comprehensive service plan, communicate that plan to the entire team (including the kitchen, warehouse and service staff) and then are completely responsible for executing their plan on-site. This change enhanced our ability to ensure a smooth and effortless event. Change continued as we were asked to take on bigger pieces of the event beyond the food and service. After careful consideration, we added a Design & Event Services division. Our client offerings now included custom design, entertainment, planning, production and rentals. 2013 was our first full year managing a new event venue—Pinecroft at Crosley Estate. This beautiful 1927 Tudor-style mansion rests on 18 acres of land and has quickly become home to some of the best weddings and social occasions in Cincinnati. Many corporations also find it the perfect location for brainstorming, creative sessions and off-site meetings. We grew our portfolio of venues by purchasing, refurbishing and opening The Transept at Washington Park. This awe inspiring 1868 German Gothic church found new life as an event venue in the heart of OTR. It is also home to our only public bar, The Vestry . We’re excited to announce our third managed venue, The View at Mt. Adams, opening in Spring of 2019. This event center will feature 170° views of the river and Cincinnati/NKY skylines. We are always looking for a better way to be of service to our clients and their guests. We continue to offer complete custom menus, believing that this is the only way to craft quality food that will appeal to each event. We believe that it is of the utmost importance to have our own service staff rather than using temporary placement agencies. By doing so, we can train them to our high standards and hold them completely accountable. We offer required monthly training for all levels of our team to ensure that they understand, fulfill and exceed our client and guest expectations.